©2019 Max Allan Collins. (P)2018 Brilliance Publishing, Inc., all rights reserved. I've never been a fan of this author (Max Allan Collins), that is until now. I got this book basically because it was FREE to borrow with the kindle unlimited edition. The book begins with a stalking followed by a viscous murder. Approximately one year later, it's the new chief of police's 10 year high school reunion. Krista Larsen is the youngest chief of police, her father Keith was her predecessor. He now lives with her. When the prettiest woman from her class and a wanna be news anchor from Chicago is murdered in the same way as the woman from Florida the previous year Krista begins to wonder if this might have something to do with the reunion. Her father is hired as a consultant to follow up on leads. There are so many new visitors for the reunion and so many stories to check. Was it someone from the reunion? Or was it that the murdered woman was working on a dangerous story? I really like that you don't find out who done it until the book is almost over. Dan John Miller does an excellent job narrating. This was a waste of time. Such menial plot with tedious details, irrelevant drama. I did not like this book at all. 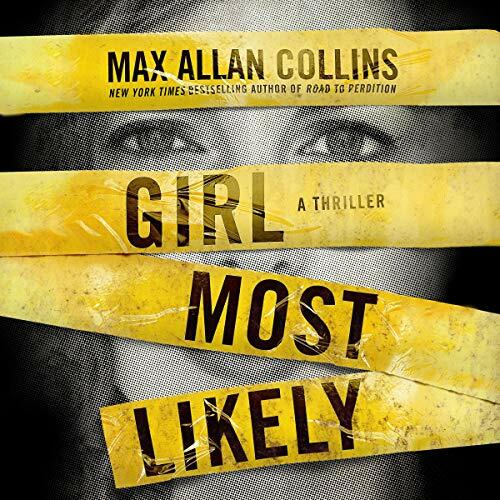 This is a great mystery by Max Allan Collins. Dan John Miller gives an amazing performance, as always. Someone is killing members of a high school class around their 10 year reunion. It’s up to fellow classmate and Chief of Police Krista Larsen to try and solve the case. You can’t go wrong with this exciting mystery.